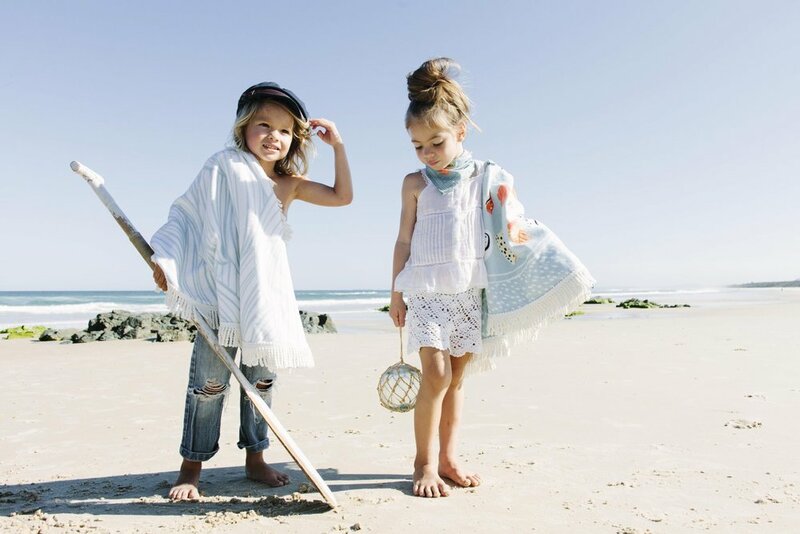 Our petites collection embraces our little adventurers who love long days of water play and barefoot escapes to the seaside. This range is vibrant with fun elements of waves, shells and fish in kid friendly colours. 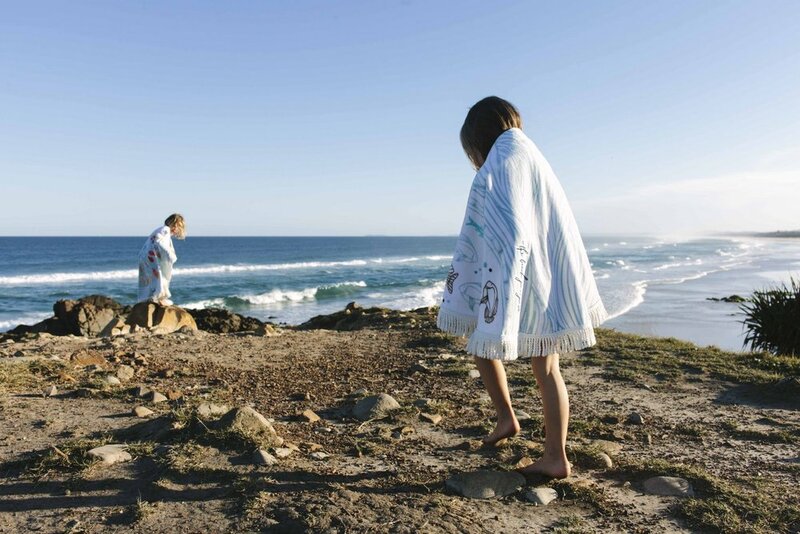 May the little wanderers enjoy toting their very own roundies and wrapping themselves up by the sea.